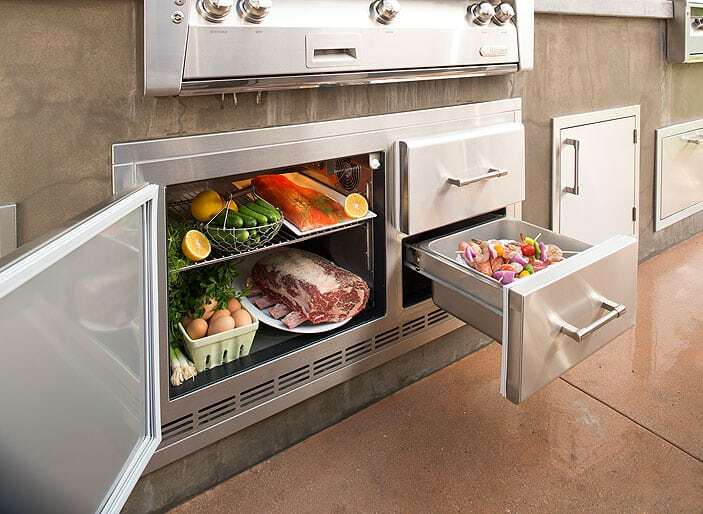 you won’t find a cooler, more efficient set up anywhere. 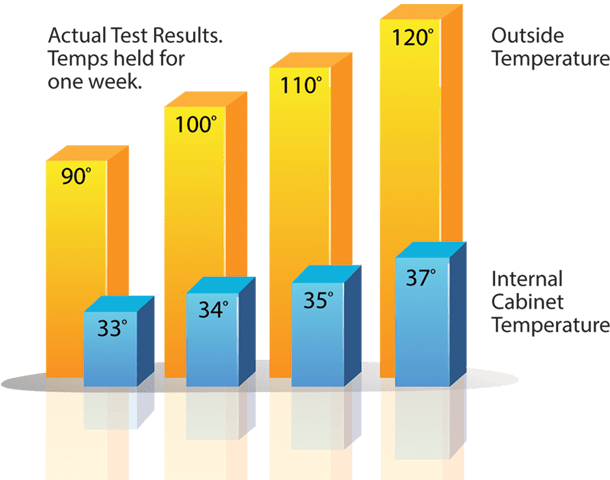 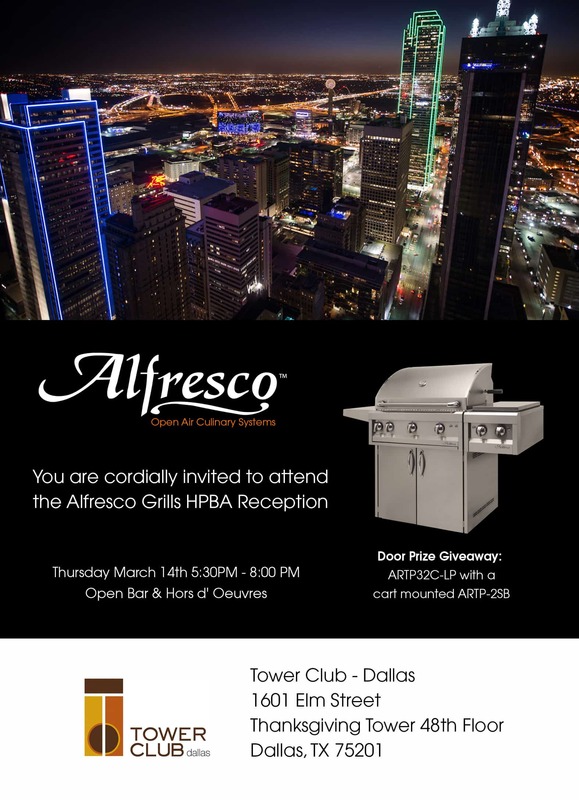 Only Alfresco’s refrigeration can maintain extremely cold internal temperatures in very hot outside temperatures (Results may vary due to conditions). 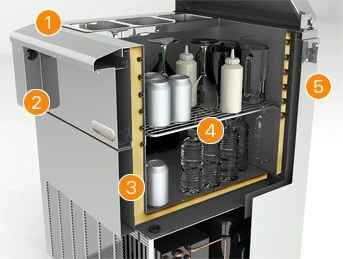 Restaurant-inspired design offers great ergonomics and versatility. 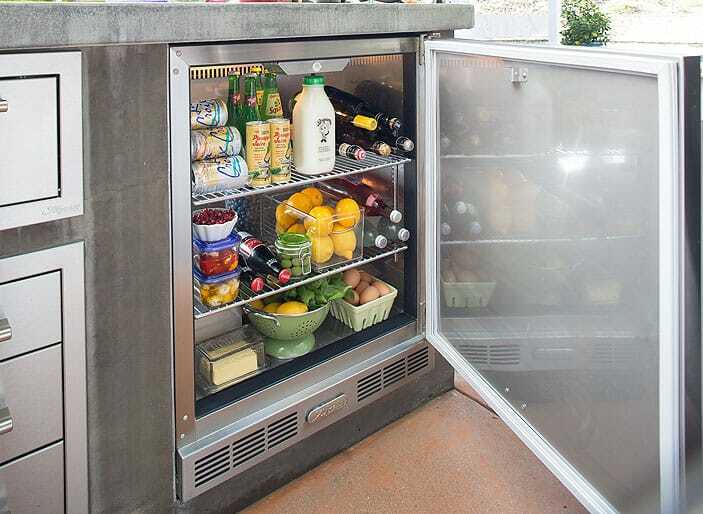 Door section features an adjustable stainless steel wire shelf. 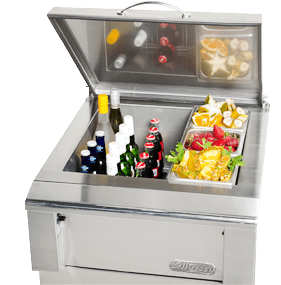 Two-drawer section is designed for marinating, and includes removable NSF food pans. 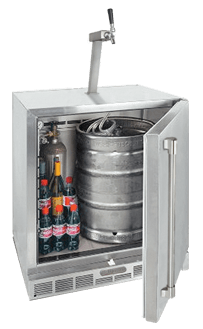 The Alfresco one door refrigerator is designed to give you optimal space, consitent temperature, and easily converts into a Keggerator. 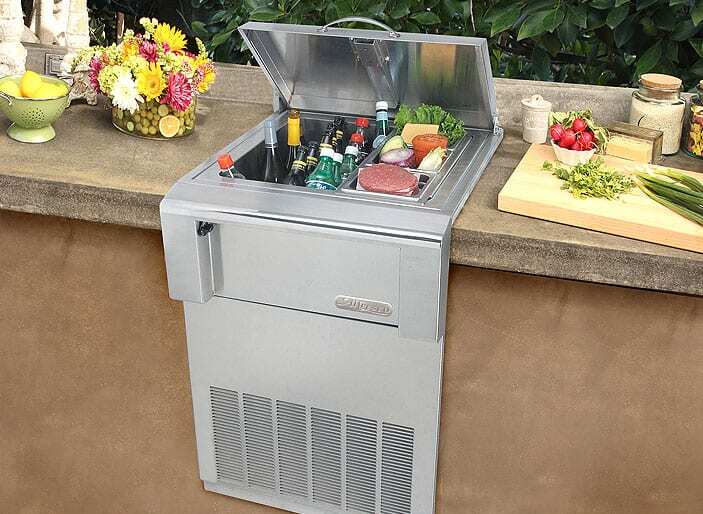 Conversion kit includes: Alfresco-built stainless steel tower with faucet, CO2 tank, beer lines with quick disconnect, pressure gauges, and drip tray with an anti-splash stainless steel grate. 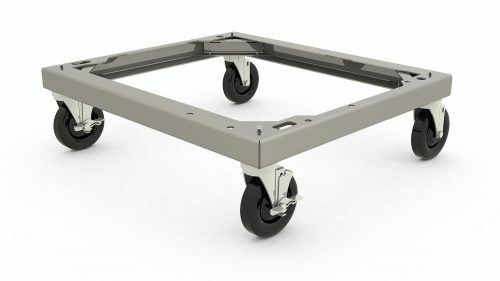 Make your refrigerator or Keggerator more mobile with this sturdy four-caster dolly. 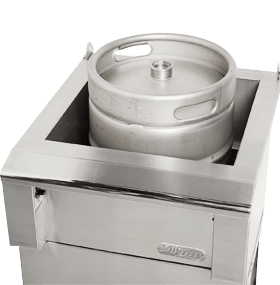 Alfresco-built keg dispensing tower inserts into the rear of refrigerator leaving top center free of obstruction. 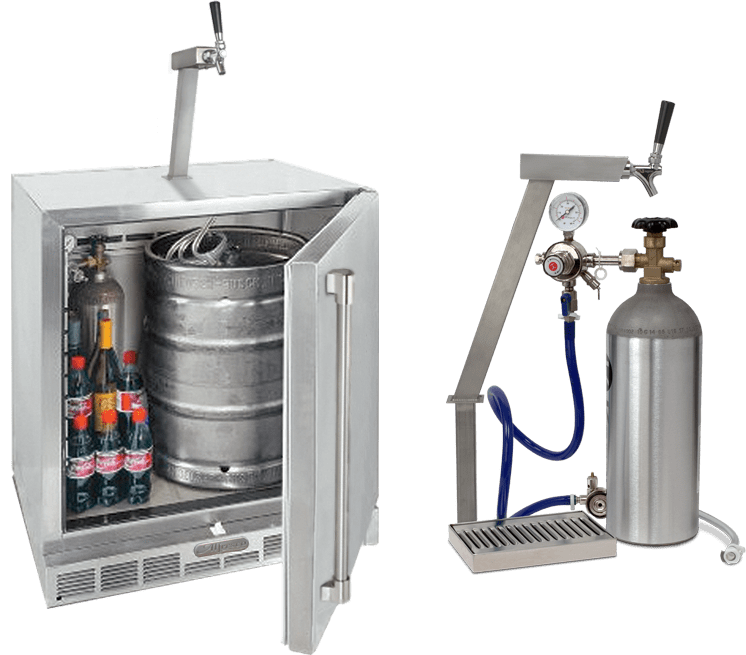 Beer dispensing kit includes a stainless steel tower with faucet, a CO2 tank, beer lines with quick disconnect, pressure gauges and a drip tray with an anti-splash grate. 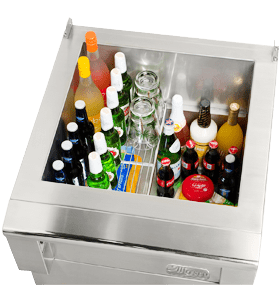 Commercial top-access cooler features state-of-the-art frost wall technology, creating an Arctic blanket of frigid cold air. 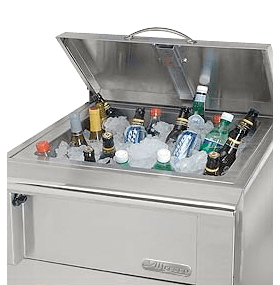 Great for use as a bottle cooler, mug froster, martini freezer, fresh fruit smoothie and juice center, deli-prep center, burger topping/condiment bar, salsa bar, bottle/ice bath, wine cooler, keg chilling, and dessert bar.